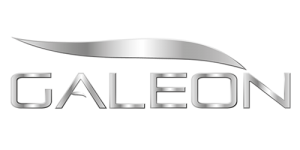 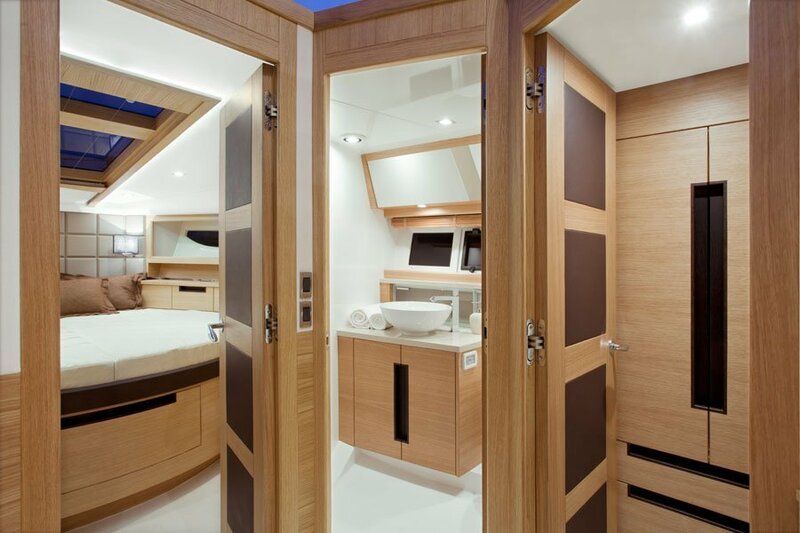 The stunning exterior follows the latest design trends and will suit the tastes of both sport enthusiasts and more conservative clients. 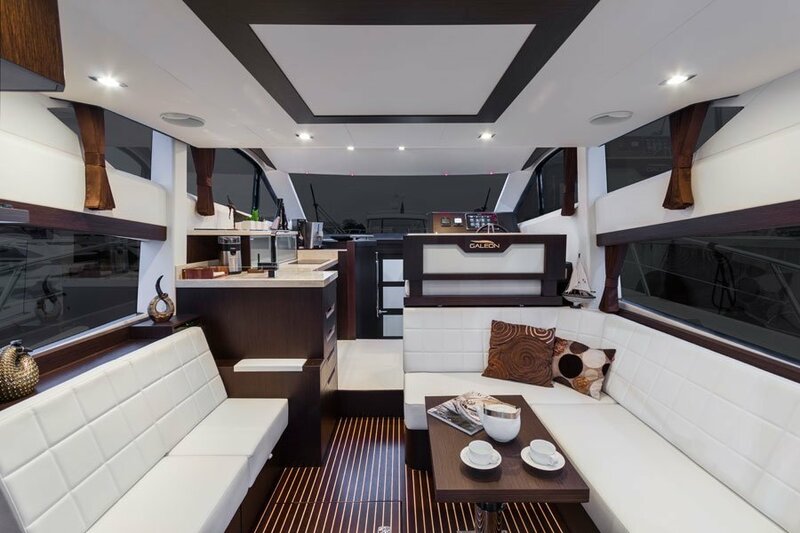 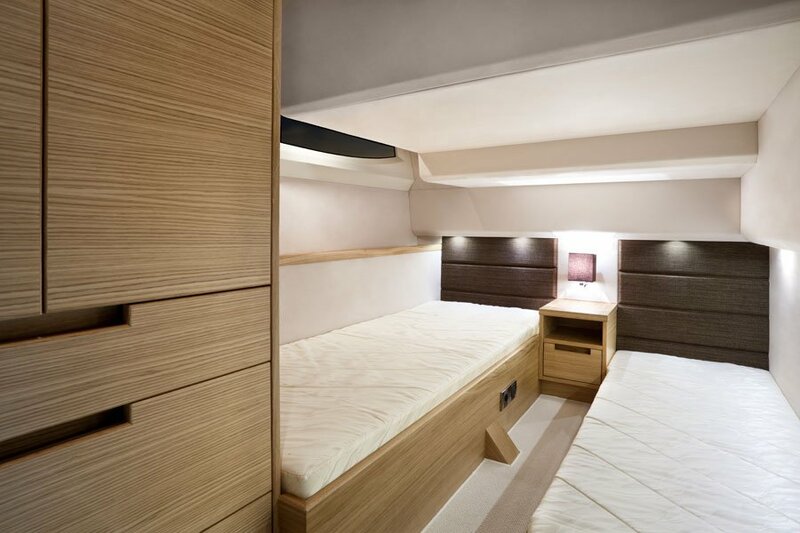 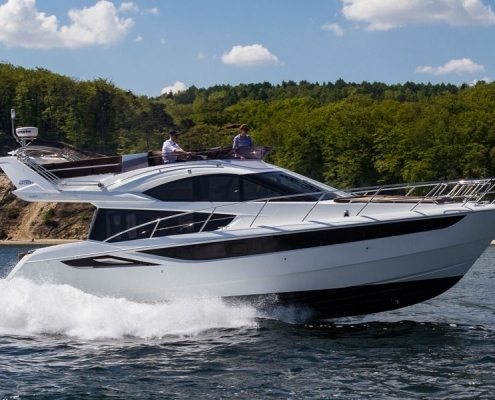 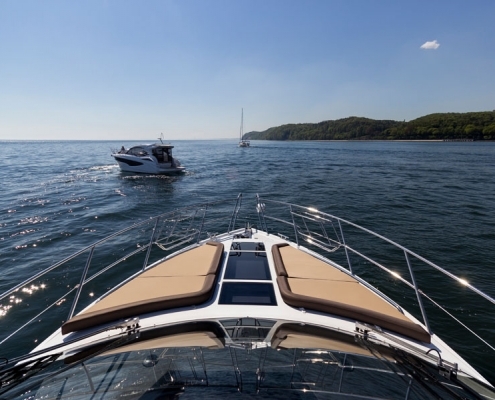 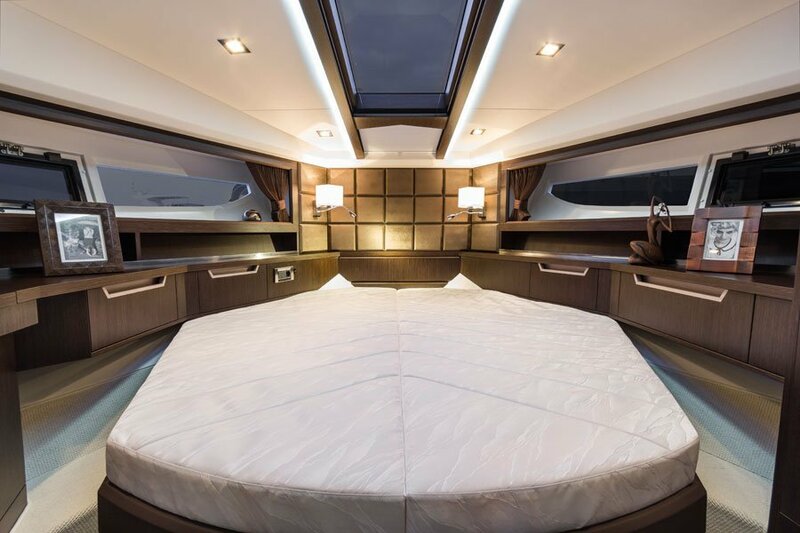 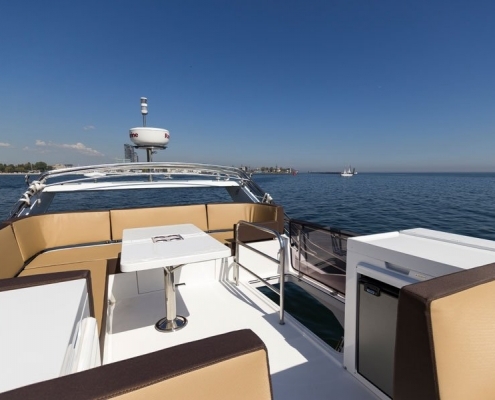 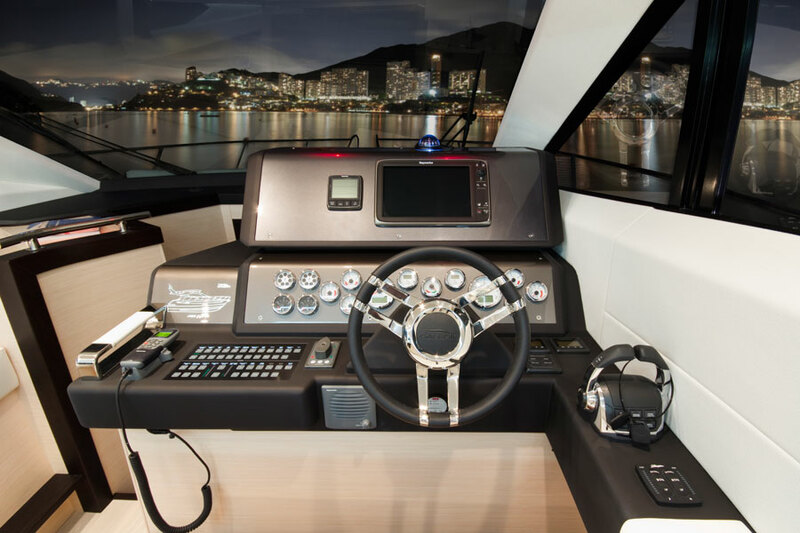 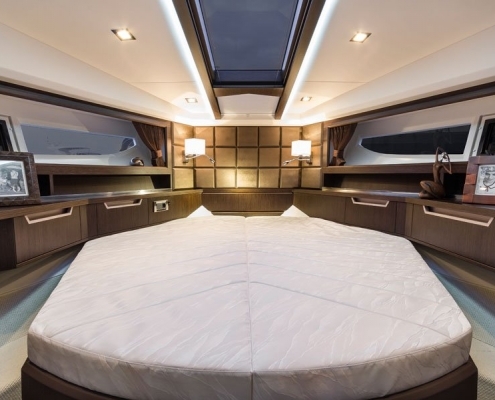 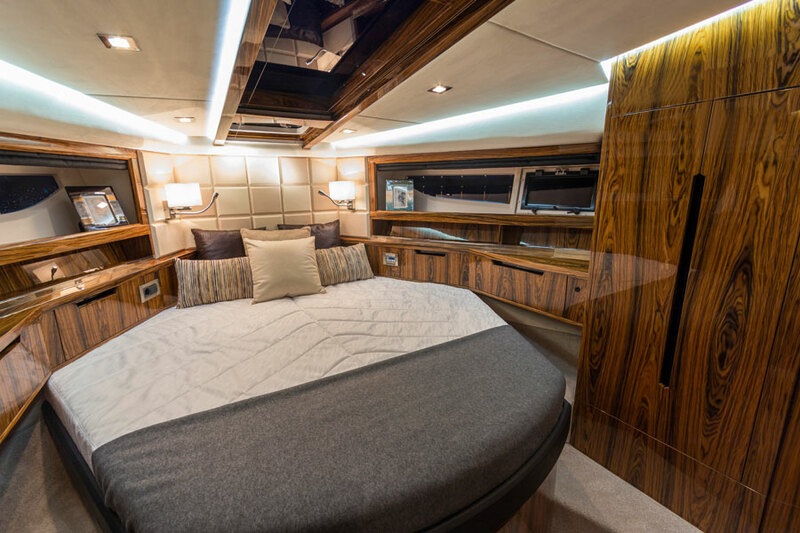 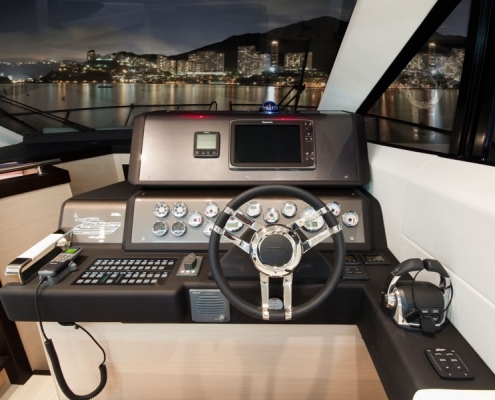 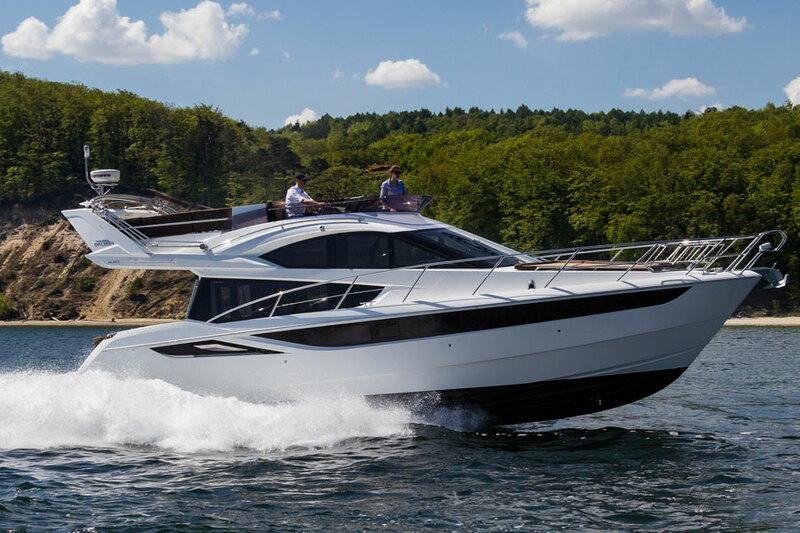 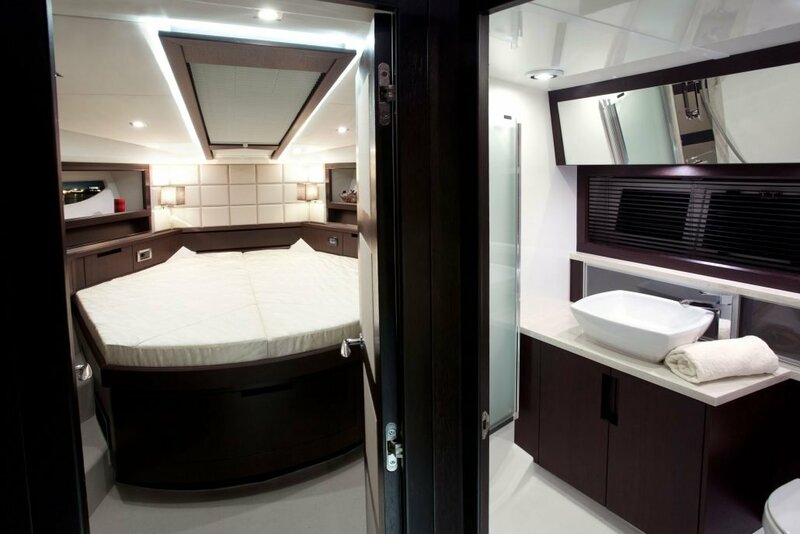 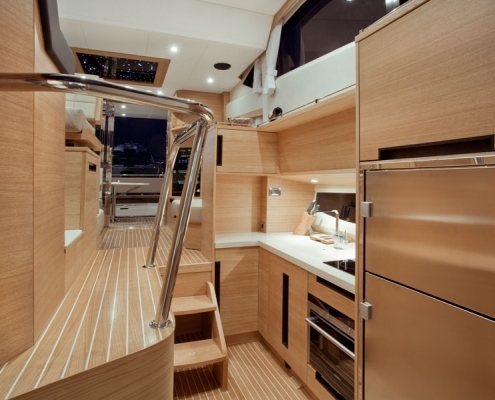 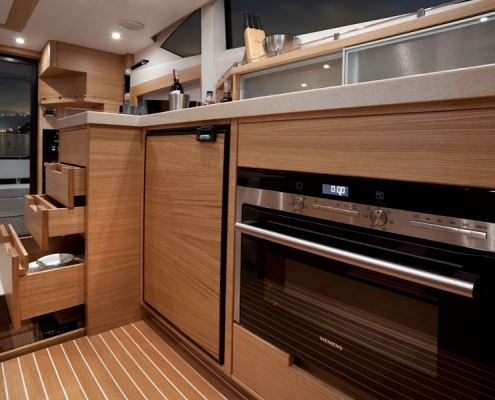 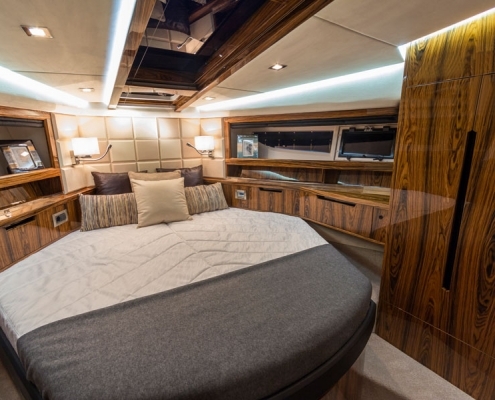 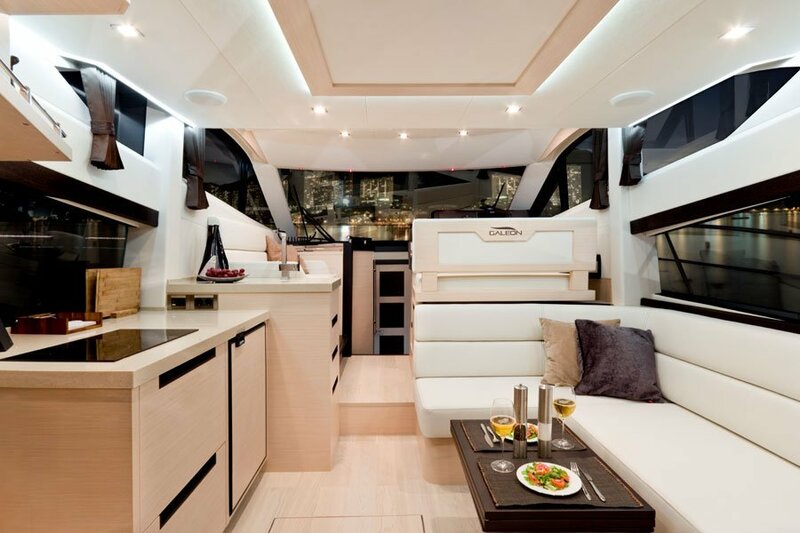 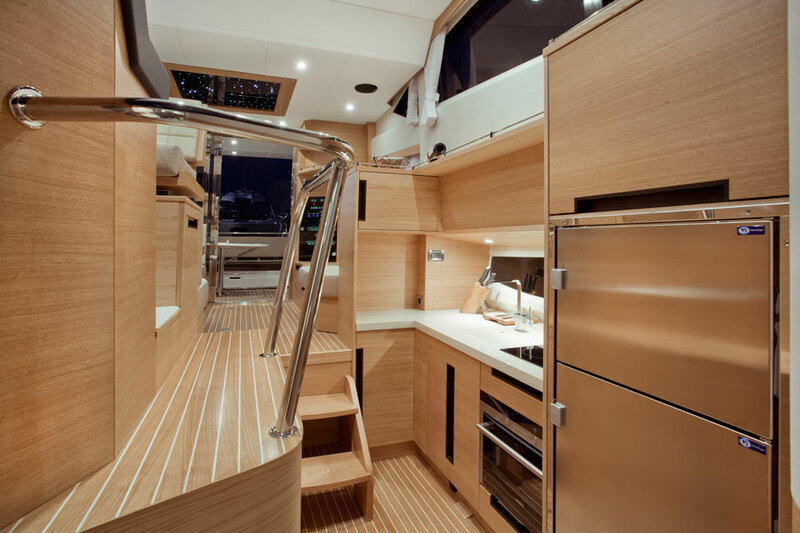 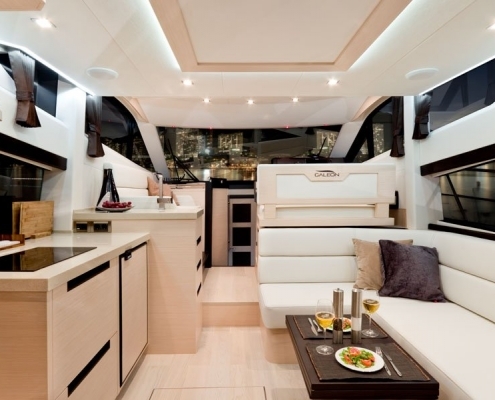 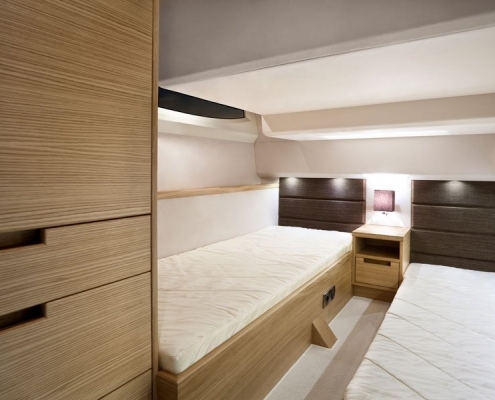 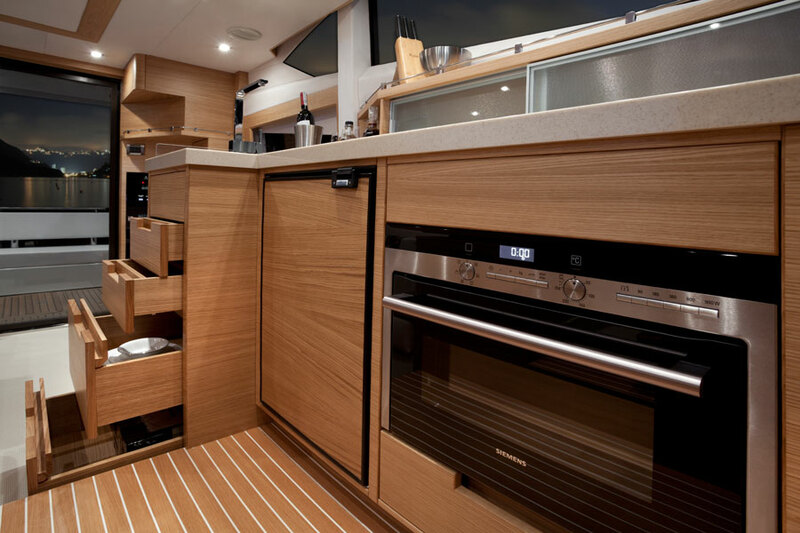 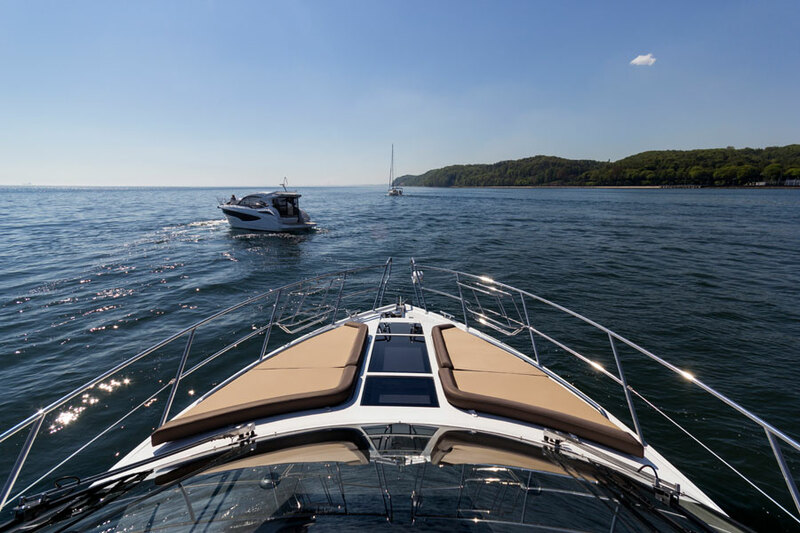 The exceptional flybridge comes fitted with a functional galley complete with a fridge and grill, a sizable sundeck and a rest and dining area for eight people. 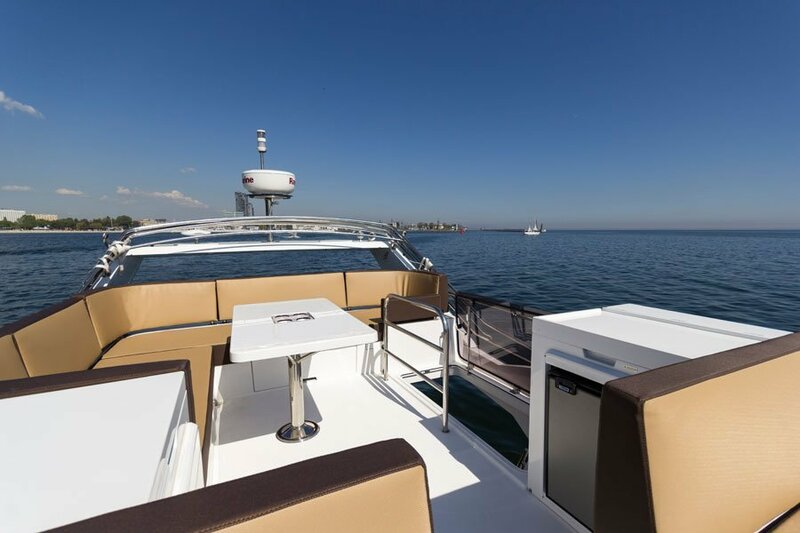 Take full advantage of the extended stern platform, that will handle most personal watercrafts for all your water based activities. 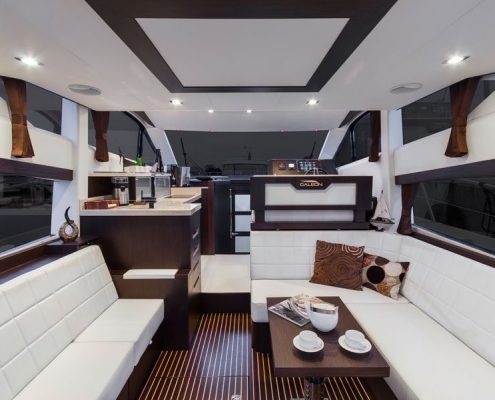 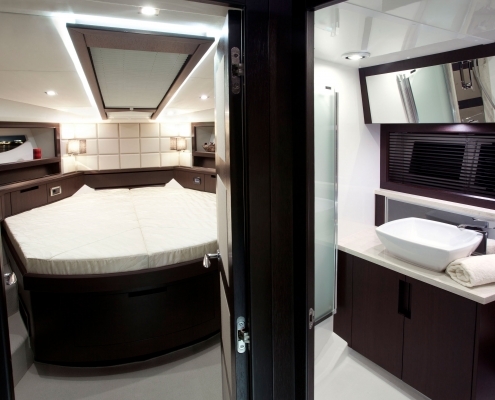 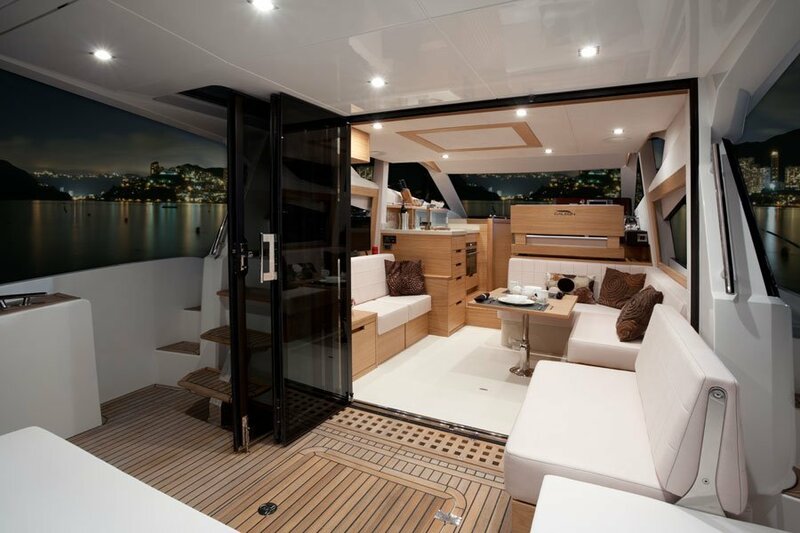 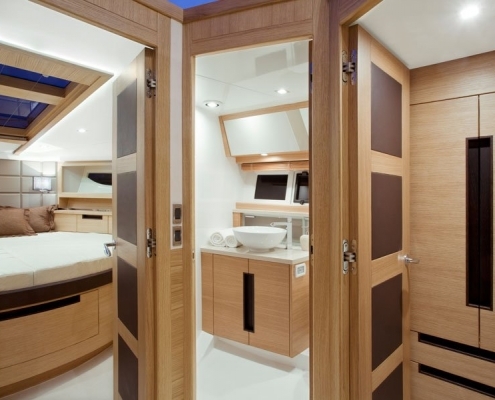 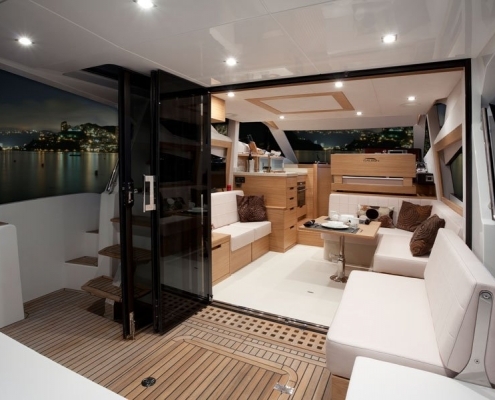 The cockpit is separated from the saloon by the neatly folding doors allowing for a vast open area on the main deck in a matter of seconds.